Five Star Despatch have been providing a quality service to a broad range of customers throughout the UK and Europe since 1995. We are equipped with a wide range of vehicles, including bikes, small vans, transits, LWB transits, Luton vans and lorries. With Five Star Despatch, you know you can put your complete trust in us to deliver packages, parcels and large consignments swiftly, safely and at a price that does not cost the earth, to any destination in the country. 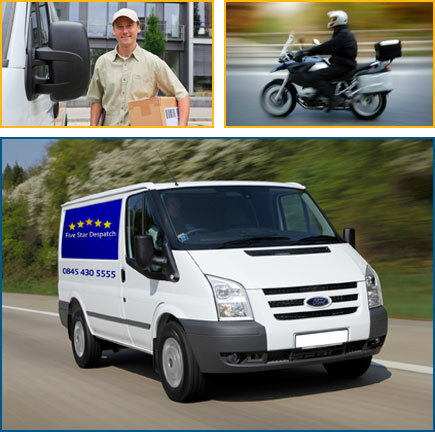 As well as our excellent courier services, we also offer larger haulage vehicles and storage facilities upon request.